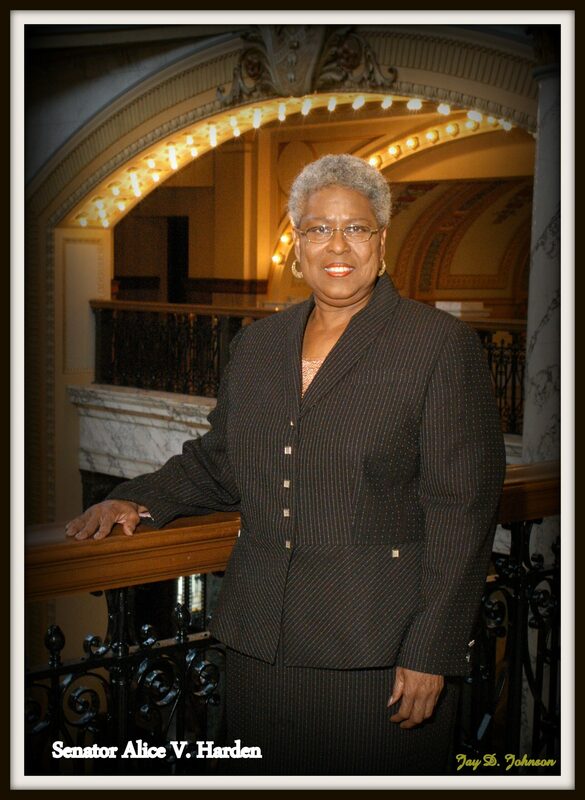 The Alice Varnado Harden Center for Service and Community Engaged Learning at Jackson State University, (The Harden Center), promotes all students toward improving the human condition through civic engagement. Through the Alice Varnado Harden Center for Service and Community Engaged Learning, the university is able to continue to expand its role in cultivating and sustaining stronger communities. While the university provides excellence in educating its students, it also believes that connecting student learning with civic responsibility is fundamental to the academic environment for students who earn their degree at Jackson State University. To that end, the Alice Varnado Harden Center for Service and Community Engaged Learning supports students, faculty and staff toward a commitment to lifelong citizenship locally, regionally, nationally and internationally. The Alice Varnado Harden Center for Service and Community Engaged Learning assists students in developing the skills necessary to become civically responsible citizens and to take action on social issues that are important to them. Responding to mounting and unresolved social problems in communities, like those prevalent in the metropolitan area and across a global society, communities expect institutions of higher education to assume a larger role in supporting the needs of the community. For this expectation, the university has reaffirmed its commitment to service by supporting a service-focused center to leverage its capital to address those needs of all it serves. Consequently, Jackson State University must stay poised to reflect those needs in the design of its educational programs, for which it has responded. The Alice Varnado Harden Center for Service and Community Engaged Learning provides a range of programs that promote civic engagement at JSU, including: (1) Alternative Breaks, (2) Community Service (on campus and off campus), (3) Service-Learning and (4) Service-Learning Ambassador. Programs offered in the Alice Varnado Harden Center for Service and Community Engaged Learning are often collaborations with other departments and colleges serving a diverse population throughout the community. 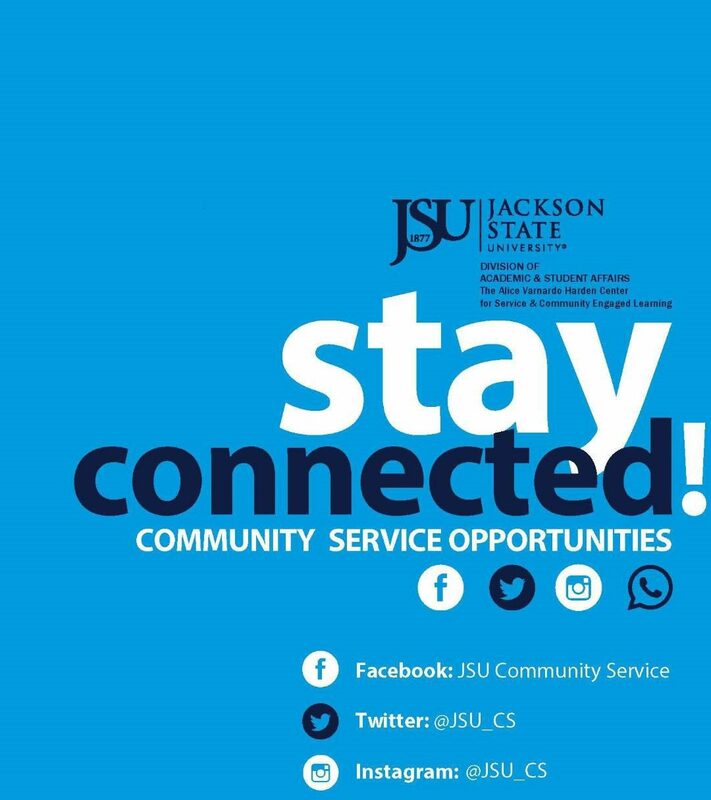 Getting involved in civic engagement at Jackson State University is simple. The Alice Varnado Harden Center for Service and Community Engaged Learning promotes social action through campus-community partnerships, faculty scholarship and student involvement and provides information on a wide variety of opportunities for community involvement. The Alice Varnado Harden Center for Service is located on the first floor of the Jacob L.Reddix Hall, Duite 110.